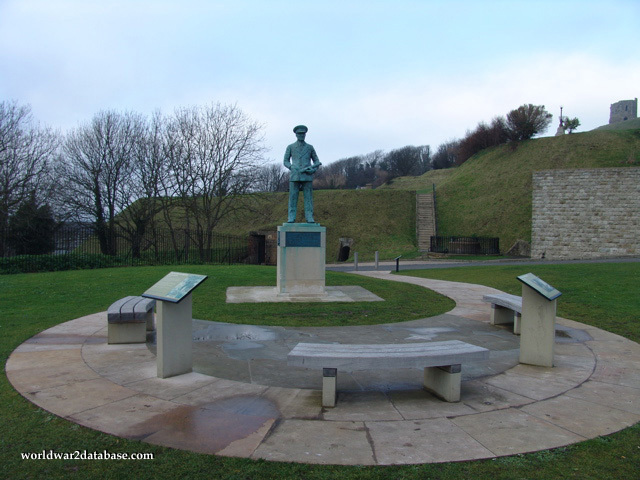 Memorial to Admiral Sir Bertram H. Ramsay (January 20, 1883 - January 2, 1945) directed both the evacuation from Dunkerque (Operation Dynamo) and the landings in Normandy (Operation Neptune) from Dover Castle. He also directed the landing operations in North Africa and Sicily. Ramsay's accidental death in a Paris plane crash precluded several commendations and general public knowledge after the war. This statue of Ramsay was erected at Dover Castle in 2000.